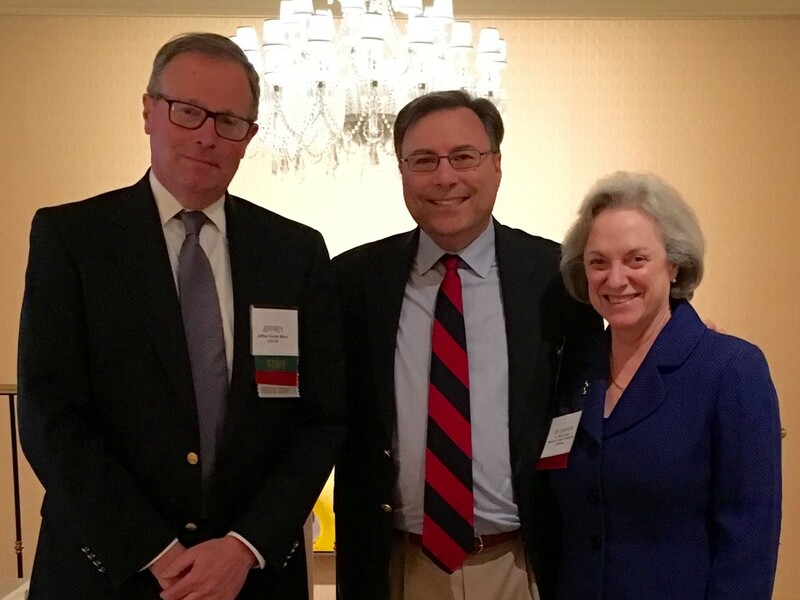 The Firm’s Jim Geoly (center) pictured with co-presenter, Sr. Sharon Euart, RSM, JCD (right), and Jeffrey Hunter Moon, Director of Legal Affairs and Solicitor of the United States Conference of Catholic Bishops (left) at National Diocesan Attorneys Association Annual Meeting. On May 2, 2016, Firm partner Jim Geoly presented at the annual meeting of the National Diocesan Attorneys Association, an association of attorneys who represent Catholic dioceses throughout the United States. Jim’s presentation was on “Handling Risk Overlap: Dioceses and Religious Employees.” Jim co-presented with Sr. Sharon Euart, RSM, JCD, a canon lawyer and Executive Director of the Resource Center for Religious Institutes. The moderator was Jeffrey Hunter Moon, Director of Legal Affairs and Solicitor of the United States Conference of Catholic Bishops.